No, y'all, not a scorpion, centipede, fire ant, yellow jacket, black widow nor even a brown recluse. THIS! If you'd like me to consider a photo of your pet(s)/bug for a tacky cardigan, just post it to the Facebook page! BOL funny results not guaranteed. Have a wonderful Wednesday. Happy Hump Day! Wow - I have not seen a praying mantis in years. 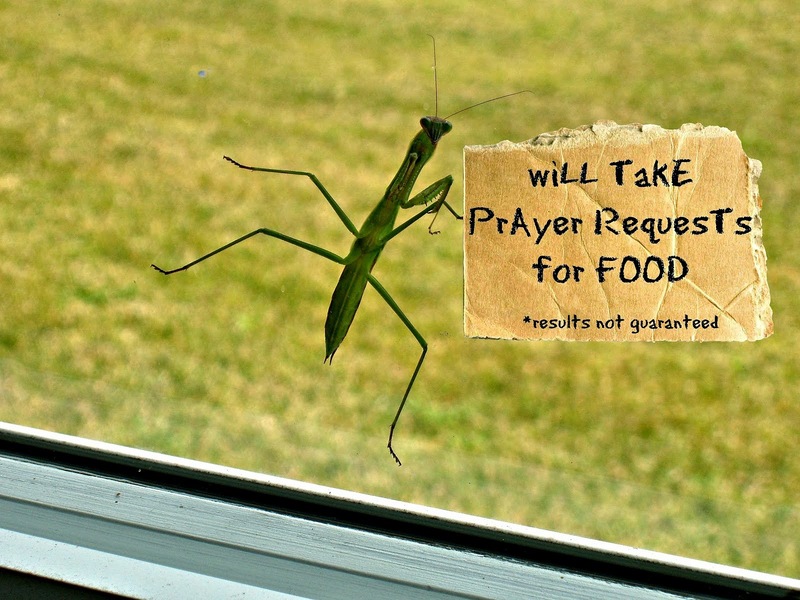 Well, according to the all-knowing Wiki, they ARE known - in some places - as preying mantis. It's funny - the homonym never even occurred to me until reading it there (but it's just as appropriate)! Probably wouldn't want to meet one in a back alley, if I was a bug, that is.